I normally write about what we are reading in conjunction with a post that relates to a theme of study. Although it may seem like we read about a topic the same week we do a corresponding project and watch a documentary, this is rarely the case. I could only hope to be so organized. In actuality, the events are often separated by weeks. Sometimes we have to wait for a book to arrive in the mail or from the library. Other times, a book looks so inviting it's difficult to wait until we have time for the corresponding project. Finally, many chapter books take weeks to read and we frequently read more than one at the same time. This week's topic for the Homeschool Help Series is "What are you reading?" Browsing our current reads it will become obvious how disconnected our reading list is from our projects. This is not something I worry about it. Instead, I figure as long as the material is being covered in a relatively close time frame, the kids can sort out the different topics quite readily. By the Great Horn Spoon! by Sid Fleischman - I began reading this book to my 12 year old over the summer. Since we had just finished The Ra Expeditions by Thor Heyerdahl, I was looking for a faster read. Well she liked it so much she finished it on her own a few days after we began. Luckily for me, my 10 year old and 6 year old were also listening to the story and wanted me to finish it. The Great Horn Spoon is a fictional tale of the California gold rush. A young boy runs away from home to earn some money and his butler accompanies him on the journey. Along they way they meet with thieves and find ways to cope in unusual circumstances. How would you earn money to purchase an overpriced boat ticket to get from San Francisco to the gold fields? The Ra Expeditions by Thor Heyerdahl - I spent the majority of the summer reading this book to my 12 year old. Since we recently finished studying Mesopotamia, we could relate to many themes within the book. Thor Heyerdahl is a Norwegian who took an interest in how the Earth was populated. During the 1960's and 70's he developed theories as to how ancient people may have sailed across the ocean in reed boats from Africa to North America. Moving from South America to the Pacific Islands he had a theory about sailing on rafts. His books the Ra Expeditions and Kon-Tiki detail his experiments of organizing people, building vessels and sailing them across oceans. Although I read only the Ra Expeditions with my daughter, I read Kon-Tiki on my own. Both books tie the historical ways of life of several different ancient cultures together and make for interesting reads. Kim (Dover Thrift Editions) by Rudyard Kipling - I just began reading this book with my 12 year old so I don't yet have a good understanding of the plot. Rudyard Kipling was an Englishman who was raised as a child in India and sympathetic to the Indian people. This book is set in India during the time of the revolution against the British. The Complete Oz: Volume 3: The Lost Tales - Kabumpo in Oz by Ruth Plumly Thompson - My children have been fascinated with the Wizard of Oz series for the past 12 months or so. This is the story my 12 year old is reading to my 6 year old. I haven't read this book, but have listened to many others in the series. All contain fantasy creatures on an adventure and exploring new lands. Many books have themes which very loosely relate to historical events. It is really neat to see my girls enjoying this book together. Seasons of Splendour by Madhur Jaffrey - This is a book of India myths and legends I'm reading to my 6 and 10 year olds. My 12 year old breezed through the book soon after it arrived. Tonight we read the story of Doda and Dodi which was a tale of good verses evil. Tubby and the Lantern by Al Perkins - This is the book my six year old is reading to me. Tubby, an elephant, decided to build a Chinese lantern for his friend Ah Mee on his birthday, but the lantern flew high into the sky with Tubby hanging on. Most of the books we read come from a Huge Book List I have compiled. It's based on lists of books recommended by home educators and literature based curriculums. Sorted by approximated grade level and subject, I hope you find this list useful. 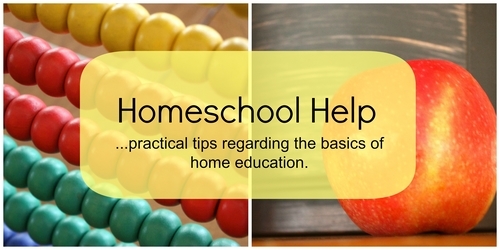 Here are posts of the other bloggers participating in the Homeschool Help Series. Savannah at Hammock Tracks - What are you reading? As I read here about Thor Heyerdahl I was thinking, "That name sounds familiar," ... then I realised it was because we visited the Kon Tiki Museum in Oslo on your recommendation! So I think we will read the book, too! I think there can be a memory benefit in not synchronising books, projects etc. It helps reinforce long term learning. That's what I tell myself anyway.